Fire Dancing has become an international phenomenon over the last decade. This new-age trend has become a highly popular form of entertainment all over the world and is only gaining in its’ attractiveness. It is not something that is only seen in Hawaiian Luau’s or in Cirque Du Solei anymore, rather, many music videos, movies, street performers, clubs, parties and weddings feature this highly masterful art form. 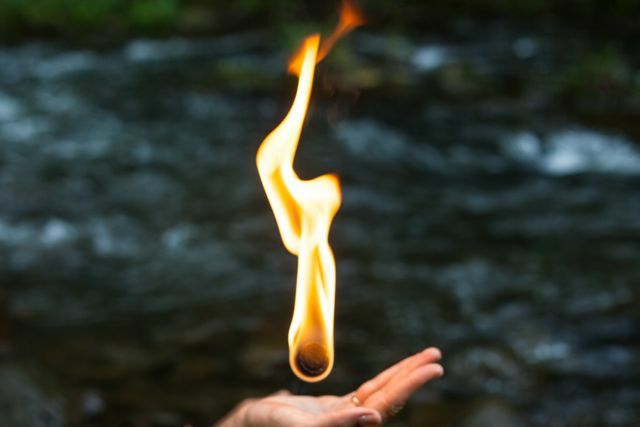 Although many people are still new to the idea of dancing while spinning flaming torches around ones body, there is a whole generation who see’s this as a perfectly normal, every-day activity. 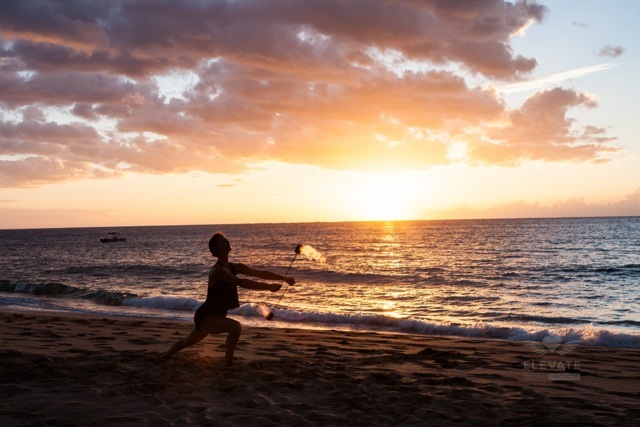 The action of fire dancing, known as poi spinning, actually began in New Zealand in the Maori’s war tradition. War tools that consisted of a rock and a sling made of animal hyde was used as a weapon of choice. They would wrap the rock into the sling and precisely hurl the rock at one’s opponent. The Maori’s also used this as a hunting technique to kill their local game. Maori women were also allowed to fight in war, unlike most tribal nations, the women prided themselves in fighting besides their husbands in battle. However, as war became less prevalent, and hunting with advanced weapons became more widespread, utilizing poi as a weapon of war declined. With this, the art of dancing with poi as a cultural practice was born. The women would play and dance together, and showcase their talent at cultural gatherings. As Polynesian travels navigated the waters to Hawaii, so did their practices and traditions. The women would dance with poi at luau gatherings as a part of the entertainment along with Samoan Fire Knife dancing. It wasn’t until the 20th century that poi spinning would eventually advance to being occasionally lit on fire. This was a combination of the dance moving into mainland America and the natural evolution of the practice itself. Modern day fire dancing was emerging. A small collective of West Coast festival-goer’s took to this art form and began expanding its modalities. From the refinement of fire POI, birthed the creation and continual refinement of fire staves, fire hula hoops, fire mini-hoops, fire fans, fire snakes, fire lotus, fire breathing/eating implements, fire whips, fire jump ropes, fire canes and even fire umbrella’s. To this day, new and innovative fire dancing modalities are being thought-up and created by innovators and visionaries. Each modality has it’s own set of techniques and skills required to effectively manipulate the tool, for the desired effect of creating geometrical patterns highlighted with tracers for an impressive outcome. Although the modalities utilize special skill sets, the movements and patterns have collectively become known as ‘Flow Arts’ among this generation of fire dancers. Flow Artists commit themselves to combining dance, acrobatics and virtuoso performance while spinning, passing, isolating and tossing these flaming objects through planes and space. As the art of fire dancing blossoms, so has it’s audiences. The thrill and excitement of fire meeting entertainment has captured the hearts of many worldwide.